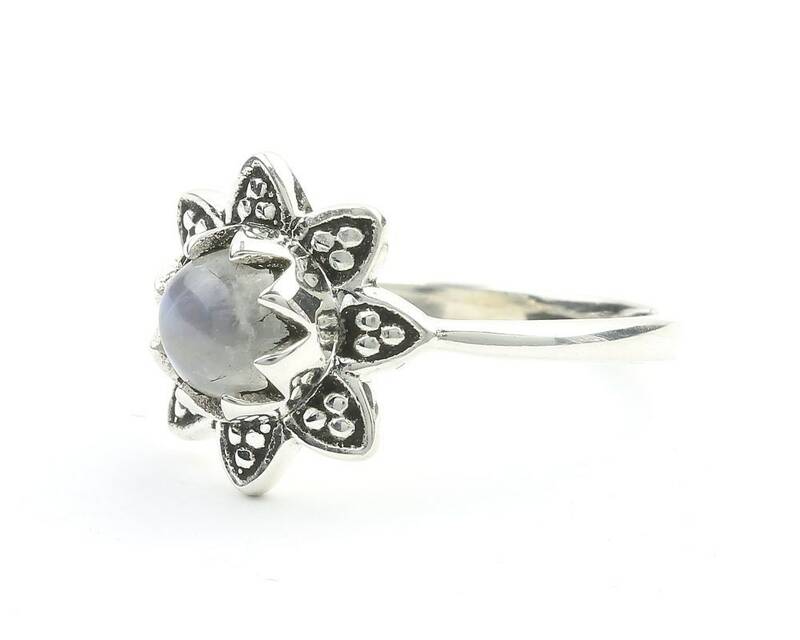 Beautiful sterling silver flower ring with Moonstone center stone. 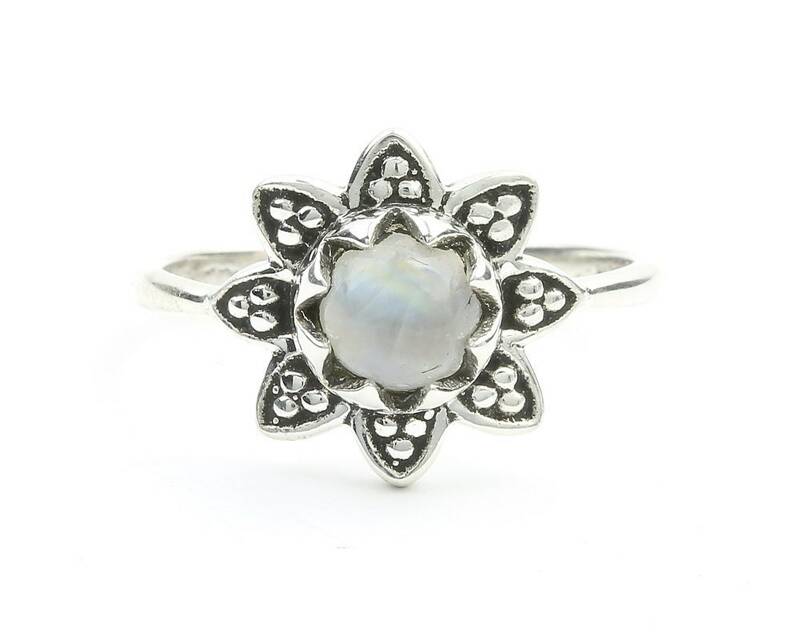 Lovely silver bead detail in the petals. Patina finish accentuates thedetail of the piece. Sooo gorgeous!!! Beautiful workmanship. It’s delicate, beautiful and clearly made with love. Must get more!! !